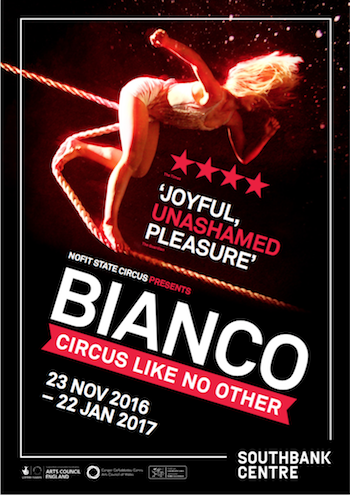 Marvel at Bianco, the dramatic live contemporary circus performance from NoFit State, which comes to the London Southbank Centre from November 23rd. Bianco is an immersive promenade show directed by Firenza Guidi and we are giving you the opportunity to win a pair of tickets to see it. The show takes place above, behind and all around a standing audience, with a constantly evolving narrative set to a pounding soundtrack, performed by a live band. Enjoy an all-consuming theatrical experience which blends sensational circus skills with a subversive edge. This rollercoaster ride will leave you with your heart in your mouth and your hands in the air. It is certainly a show not to be missed. Where will Bianco be performing in London? 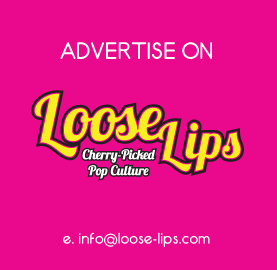 Contest closes November 22nd, 2016 at 12pm. This entry was posted on Monday, November 14th, 2016 at 6:05 pm	and is filed under Cabaret, Contests, Theatre.